Rishikesh Yog Mandir is one of the most celebrated names in India, as well as over the globe regarding yoga teacher training in India. We are a registered house for yoga ttc programs by Association of Yoga and Meditation ( AYM ). 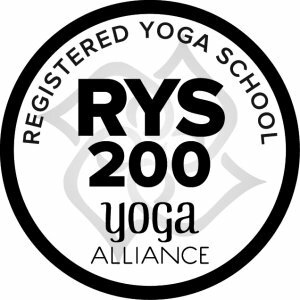 AYM is a registered yoga teacher training school in Rishikesh affiliated with Yoga Alliance USA, which offers 200 hour, 300 hour and 500 hour YTTC. Each of the trainers in our yoga institution is a certified yoga trainer having years of experience in Vedic gurukuls.This is the reason that the certificate we issue (after successful completion of yoga teacher training in our institution) holds so much of value for the students in getting a job. Rishikesh Yog Mandir is the best yoga school in Rishikesh India affiliated by registered society, for 200 hour yoga teacher training Rishikesh. 200 hour yoga teacher training is a basic level training program. Successful completion of the program makes the candidate eligible to pursue the 300 hour yoga training program. In this yoga training program, the students are taught about various asanas along with their theoretical and practical explanation. They are taught about correct postures, techniques, and movements and the scientific reasons behind it. Moreover, they are taught about the ways of minimizing the risk while performing the poses. 200 hour teacher training Rishikesh is the perfect recommendation for those who want to get a job in quickest span as a yoga trainer. It prepares the students for the basic level teachers. Various aspects like perfectly executing the poses, correct usage of the props, rules and regulations of the poses, etc are taught to the students. They are also taught about the Sanskrit nomenclature of each pose and the reasons behind such naming. The students are given anatomical, physiological and psychological aspects of yoga study with detailed analysis of different ideas and hypothesis. In addition, the spiritual and ethical concerns of yoga study are also taught to the participants. By the end of the program, a student can feel much confident about yoga training. Being the most renowned center for yoga studies, Rishikesh yog mandir affiliated by Yoga alliance usa offers the best 300 hour yoga teacher certification Rishikesh. It is the higher version of 200 hour yoga teacher training program. Participants of this program are essential to have completed the 200 hour training program from a registered institution. Our 300 hour program provides detailed study of various forms of yoga. Starting from Ashtanga yoga, Hatha Yoga, Vinyasa yoga, Ashtanga Vinyasa Yoga, Iyengar yoga to Sivananda yoga, we teach all at one center. At the same time, we too teach the Power yoga, Flow Yoga and Vinyasa Flow Yoga at our center. This training program also teaches students about various yoga therapies. The participants learn about the yogas to relieve back pain, yoga for hypertension, diabetes. Etc. Moreover, they are explained with technical/physiological reasons behind those. Through the process, the teaching program prepares a student with full confidence regarding the aspects he/she learns. Special classes are also organized for pregnancy yoga. Various high-end tools are used while teaching these aspects. Ultimately, the candidates are given classified knowledge about various yoga forms for all sorts of commonly found health issues, starting from blood pressure, diabetes, to asthma, back pain, etc. Apart from physical yoga, the students are given thorough knowledge on breathing techniques and meditation as well. The best part, each class is conducted by only the most experienced and expert trainers in that concerned aspect from top gurukuls in India. Ultimately, 300 hour program is a best yoga courses Rishikesh India for professional yoga programs. 500 hour yoga teacher training is the highest level of yoga studies. Rishikesh Yog Mandir provides the highest standard of this program. Here we provide all-encompassing knowledge on yoga postures, starting from its fundamental level to the highest for. The participants are taught about the complete physiology, anatomy, psychology, and spiritual aspects in concerned with each yoga poses, meditation and pranayam. The teaching includes all forms of yoga, starting from Hatha to Vinyasa. Upon completion of the program, the students are issued the certificate, which is indeed denotes the highest level expertise of the candidate. The certificate is the proof that the person is eligible to teach yoga, to student of any educational level. Rishikesh Yog Mandir being a renowned name for yoga studies, witnesses huge interest from the yoga enthusiasts from around the corner regarding this module of the course. Here we teach yoga reaching its ultimate depth. The trainers provide personalized teaching which helps the students to ask doubts on any aspect in their mind. To be specific, the meditation and pranayam classes are organized in an absolutely personalized fashion. It can be moreover understood that the 500 hour yoga teacher training covers all aspects of 200 and 300 hour yoga form in broadest fashion. Interested candidates are essential to have completed the 200 and 300 hour modules. Otherwise, they have to go through our all-inclusive package that covers 200 hour, 300 hour modules as well. It means there always remains flexibility of choosing the study program as per your expertise level. Being the highest level of yoga teacher training, we at Rishikesh Yog Mndir provide complete flexibility to the students to choose their batch time. They can easily shift from one batch to the other as per their convenience. Our 500 yoga classes Rishikesh provides deepest knowledge on each yoga pose and the technical aspect of its alignment. We use creative techniques to help the students understand the creative aspects of yoga and their sequences. As explained above, starting from physiology to anatomy, each of the yoga therapeutic concern is thoroughly understood through this module. In fact, we have designed the courses and syllabus that fulfills these aspects well. Special attention is given regarding the yoga therapies or the healing yoga methodologies. Companion of experienced teachers makes the learning process even more enchanting. Being the most renowned name for yoga studies, we have developed the classrooms of highest standard. Our yoga classes Rishikesh are the most enriched, powered by high-end equipments. The classes are basically conducted in huge studios with advanced technology. The best part about Rishikesh Yog Mandir has been its pristine environment. Our ashram is surrounded by highly blissful environment. The surrounding provides true tranquility in mind. Making things more interesting for the participants, we provide highest standard living arrangement within our premise. Each room has attached washrooms with 24 x 7 water availability (both hot and cold). The entire ashram is enriched with Wi-Fi facility. Ultimately, we provide the best environment that can help someone grow with a yogic lifestyle and gain the key yoga skills.